John F. Kennedy has been a Lecturer at the Massachusetts Institute of Technology since 1993, initially at the Center for Construction Research and Engineering and currently at the Center for Real Estate. Over these years he has taught Entrepreneurship and Strategic Planning for the Design, Build, and Real Estate Development segments of the built environment. In this role he works with students on their entrepreneurial enterprises. John co-founded MIT CREATE which focuses on alternative development for urban economies. He is on the Advisory Board of designX, an incubator and research program in the School of Architecture. 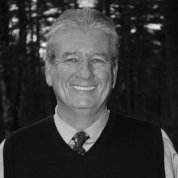 John was the founder and President of Kennedy & Rossi Inc. which was a leading design build firm in the bio-tech, pharmaceutical, educational, and healthcare areas for over twenty years. Currently, he is the Principal Partner of Kennedy Ventures LLC, a venture company working within the built environment to unlock latent business or real estate development opportunities. In addition, he serves as a consultant to B.W. Kennedy & Co., bringing his years of experience to this young construction/development firm. Over the years he has founded a number of firms that serve the built environment sector including firms in manufacturing, consulting, and real estate development. He has been an active member of the boards of various schools and colleges, charitable organizations, and non-profits. Among these are Merrimack College, Mount St. Joseph Academy, Epiphany School, Life Resources Inc., The Boston Foundation for Architecture, Lupus Foundation, and the Augustinian Mission to South Africa. John and the family have personally supported St. Leo’s School in Molweni South Africa.